The Second Instalment in the Popular Legend of Rhyme Series Launches! 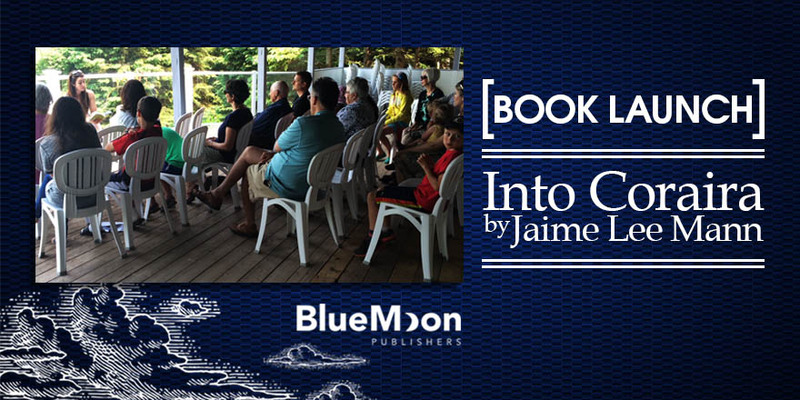 It has been a very exciting week for Blue Moon Publishers and Jaime Lee Mann. Into Coraira, the second instalment in the popular Legend of Rhyme series, launched at The Preserve Company on scenic Prince Edward Island. This well-loved and picturesque establishment was build in 1913 as a butter factory, and now houses an artisan specialty food production kitchen, restaurant, and gift shop. The event was well attended by many locals, along with grandparents visiting from Boston who bought the entire series for their grandchildren. We’re happy to see that the series is now travelling to Boston! Along with a book reading and book signing, there were a number of highlights – for those of you who couldn’t make it to the event, here is an overview! Along with pies, crackers and cheese, a fruit tray, and juice for children, there was a honey cake baked in honour of Lochlan, and a Grimblerod dirt cake (and bug bar) was the striking centrepiece. All attendees received a bookplate and a bookmark, and most children received a poster as well. There was also a lot of fun for the children (and some adults!) at the colouring station. Attendees participated in the “name a character” draw; the entry Jaime Lee Mann chose was submitted by a young boy, and will appear in an upcoming book in the series. Be on the lookout for this name! Blue Moon Publishers has been very fortunate to have the support of so many, from readers and fans to bookstores, libraries, and schools, who have celebrated this wonderful Middle Grade fiction series and a Canadian author. Did you attend the launch of Into Coraira?